This exclusive report provides you with an in-depth 4-year forecast of the world's International voice and data IPX service revenue on a region-by-regionbasis. The report also outlines current and forecasted data IPX revenue by service. Finally, International IPX voice forecasts are outlined from a traffic origination and termination point of view. This 20-page report gives telecom executives around the world the information they need to develop winning and informed strategies to launch and grow their International IPX service offering. This exclusive report provides you with an in-depth 4-year forecast of the world's International voice and data IPX service revenue on aregion-by-region basis. The report also outlines current and forecasted data IPX revenue by service. Finally, International IPX voice forecasts are outlined from a traffic origination and termination point of view. 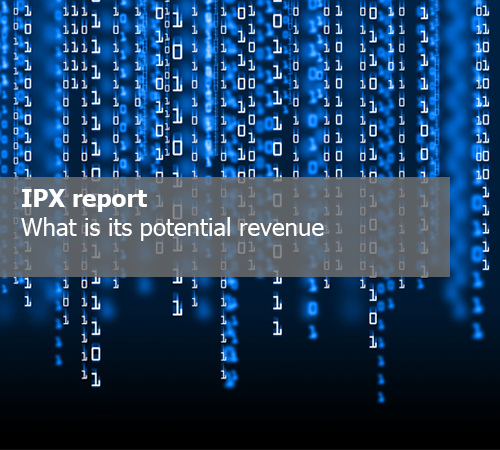 This report is an invaluable source of information for telecom executives worldwide seeking to establish how and where the world's International IPX service revenue is expected to grow over the next 4 years and where the industry is heading in the coming years. The report is provided in pdf as well as excel model with detailed scenarios.